Big rigs, 18 wheelers, and other large commercial trucks are inherently more dangerous than other vehicles on the roads by virtue of their enormous size and the challenges they present in controlling them, especially in adverse weather situations or on roadways that are hazardous even for smaller vehicles. One of the most dangerous and potentially deadly of all types of truck accidents is the jackknife accident. At the Law Offices of Larry S. Buckley in Sacramento, jackknife truck accidents are handled with aggressiveness and skill by our nationally recognized and esteemed personal injury attorney. If you or a member of your family has been injured in a jackknife truck accident, or if you have tragically lost a loved one in such an accident, you can count on Larry S. Buckley, one of the premier truck accident lawyers in the nation, to provide you with the trustworthy, dedicated legal counsel you need to obtain the compensation you deserve. With reference to truck accidents, the term “jackknife” refers to any incident in which the trailer of a big rig or other large truck ends up at a 90-degree angle with the tractor. This situation usually arises from the truck’s drive wheels locking due to sudden braking, while the wheels of the trailer continue to roll forward. As a result, the trailer swings outward, often resulting in the rollover of the truck. Jackknifing can also occur due to a trucker accelerating on a slick surface, taking a curve at too high a speed, and downshifting. Sometimes, jackknifing is unavoidable, and the truck driver is not at fault for the accident or its effects. However, in instances in which jackknifing could have been avoided but for the negligence of the truck driver, he or she may be liable for any resulting injuries or deaths, possibly along with his or her employers. 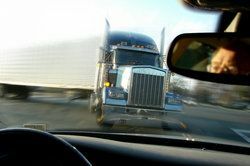 In order to recover damages in a jackknife truck accident case, the plaintiff’s attorney must be able to provide sufficient evidence of negligence on behalf of the operator of the truck, the company that employed the driver, or both. If the underlying cause of the accident was a defective part, then it may be possible to collect damages from the designer or manufacturer of that part. That the plaintiff suffered demonstrable losses and expenses as a result of these injuries. If all of these elements are in place, the plaintiff should be able to collect the full measure of damages to which he or she is entitled. To arrange for an evaluation of your jackknife truck accident case, please contact the Law Offices of Larry S. Buckley today.